Winter in Austria: 800 winter sports resorts and 22,000 kilometers of ski runs! 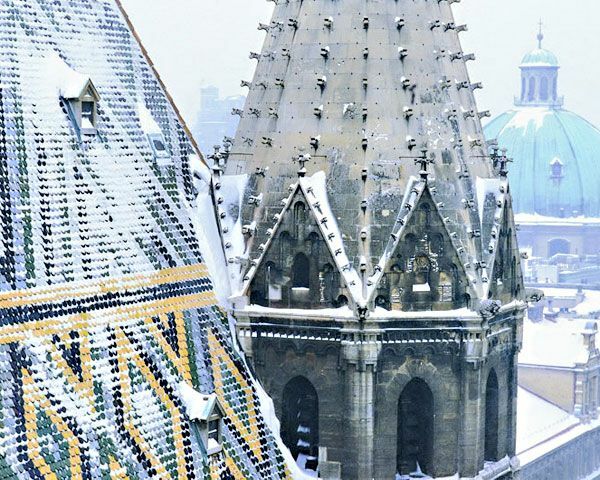 Myriads of snowflakes turn Austria into a picture postcard winter wonderland. Located between the Arlberg and Semmering region, Austria's ski areas attract winter sports enthusiasts with splendid pistes, scenic landscapes and quaint mountain lodges. Skiers will be spoiled with immaculate ski runs and cutting-edge uphill facilities, as well as untouched slopes for a more quiet off-piste skiing experience. In addition, there are innumerable winter walking trails and cross-country skiing tracks. Charming Austrian mountain villages and friendly and welcoming hosts are waiting for you! Welcome to Austria! Austria in summer: Breathtaking mountain scenery, crystal-clear lakes, and bustling city life! A summer holiday in Austria is a feast for the senses! Take a deep breath of crisp mountain air, have a refreshing soak in a crystal clear lake, and enjoy the sheer exhilaration of having reached a mountain summit... Austria's picturesque landscapes provide the perfect backdrop to a memorable vacation. The Province of Tirol, for instance, is a popular destination among the walking and mountain biking community, while the lakes of Carinthia and Upper Austria attract families and lovers of water sports. The cities of Vienna, Salzburg and Innsbruck offer innumerable sights and attractions - along with shops to suit all tastes and budgets. Austria is waiting for you!